Are you Facing hanging problems on your Android device, due to extremely low RAM and unable to run heavy games, applications and even to perform multitasking efficiently. Then this article is just for you. We know everyone can’t afford or buy high range phones and facing this problem due to the ram size and processor. So we are back with an interesting trick that will help youincrease RAMon your Android Device. So follow up the below steps to know about it. First of all, you need to partition your SD Card, DownloadMini tool Partition. Install the application on your PC and connect your SD card to your PC with Card Reader. Step 1.Open Mini Tool Partition on your PC and when the wizards open click on your SD Card and select Delete option. Note:This will format your SD Card completely. So make sure to perform a complete backup of your SD card before you proceed with the next steps. Step 2. Once the formatting done successfully, you will have enough space on your SD Card as unallocated then just Right click on SD Card and select “make” option. A popup box will open giving you options for making partition; select the partition as primary and file system asFATif SD Card is less than 4GB orFAT32if your SD Card is more than 4GB. Step 3.Leave about 512 MB or more space (your choice) for making the next partition. Then select done and do right click on unallocated space of your SD Card and again click “make” option. Select Primary partition but change the file system to Ext2, Ext3 or Ext4. Note:(Ext2 is not compulsory as most ROMs work fine with it). Step 1.Click Apply Changes and then the process goes on for the few minutes and then the partition is completed. Install Link2sdfrom Google Play Store. Step 2.On the first launch of the app, it will require the root permissions and then, it will ask you for the file system of the .ext partition that you had made before, choose the option as you had chosen during partition. Step 3.Sort the apps according to size and start linking them. If you face any problem feel free to discuss in comments, don’t forget to share! Increasing RAM does not indicate that you are adding some hardware to your Android smartphone. It’s not possible for an android user to add some hardware to Android phone. And the methods given below is so manageable and easy that everyone can execute to increase their smartphone’s ram, you just need to follow above instructions. You can use your SD card as a working memory expansion with the help of Roehsoft RAM expander. That means the more space on your SD card so vast would be your RAM space. Let’s know how to use it. Step 1.First of all, download and install Roehsoft Ram Expander(Swap) or your rooted android device. Step 2.Now after installing open the app and grant it a superuser request. Step 3.Now you will get to see SDcard memory, Free Ram, Total Free RAM. Step 4.You need to set the new size for your Swapfile. Step 5.Now simply swipe over “Swap/active” and wait for a moment until the swap is executed. Step 6.Now you have to select the path or partition selection for the swap. Simply, select your SD card here. Step 7.Now simply go back to the main page and swipe over “Swap/active” and wait until the app finishes creating the swap file. That’s it now you will see your Total free RAM will increase. This is the easiest way to expand RAM using the SD card. 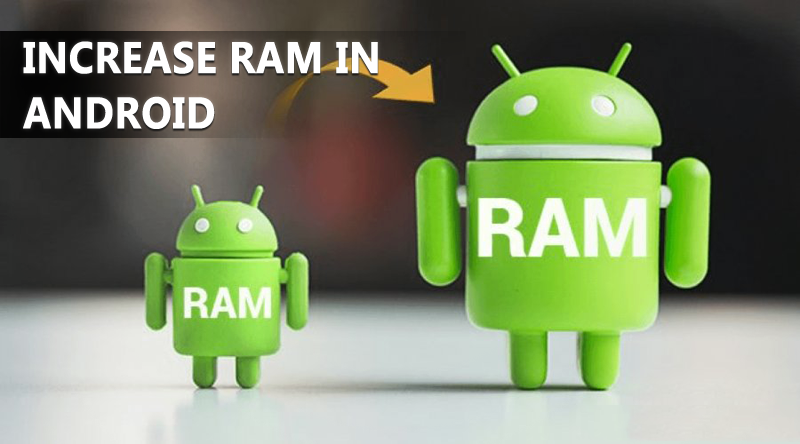 It’s a simple method to increase ram on android which will take the maximum of 10-15 minutes to perform. Using this trick or method you can increase your ram on android. So if you liked our work then do share with your friends too.